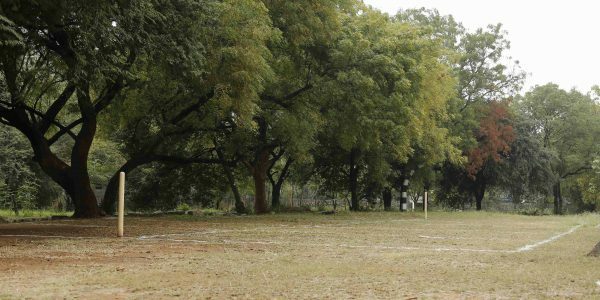 At HPS Begumpet, we focus on physical fitness of our students as well as their skills and levels of competency. We encourage our students to remain physically fit, as a sound mind can only be housed in a sound body. They are assessed for their strength, endurance, flexibility, speed and coordination. 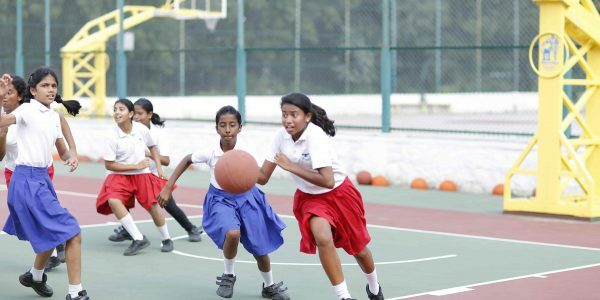 HPS has made sports an integral part of the school curriculum, making it compulsory for every student to be a part of the school’s sports routine. 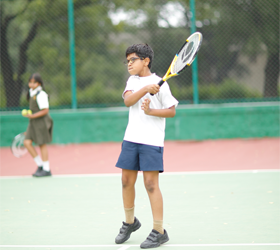 Physical Education as a subject has been introduced in the year 2006, for Classes 9 to 12. The Boarders get an energetic start to their day with vigorous PT every morning. HPS has the privilege of being able to provide its students with the best of sporting facilities. 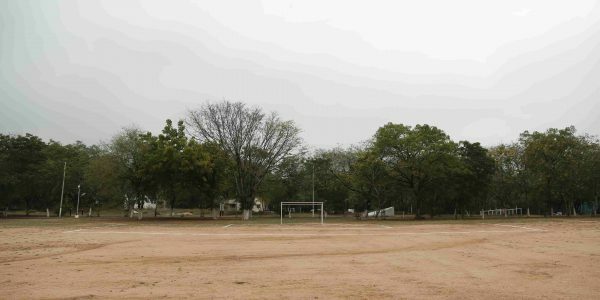 The vast grounds make it possible to provide for every sport played in school. 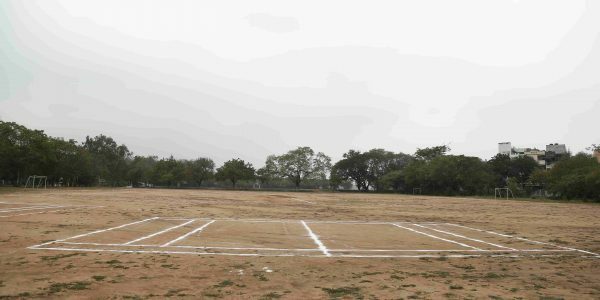 There are well laid out clay and hard courts for tennis, volleyball, kabaddi, badminton, basketball, throw ball and tennikoit. 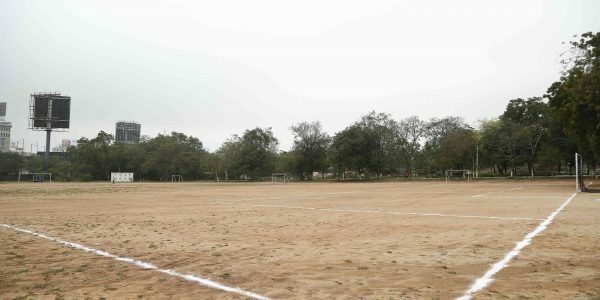 Kho-Kho, hockey and football have multiple fields that accommodate more than one team at a time. There are permanent tracks marked for the Track and Field events. 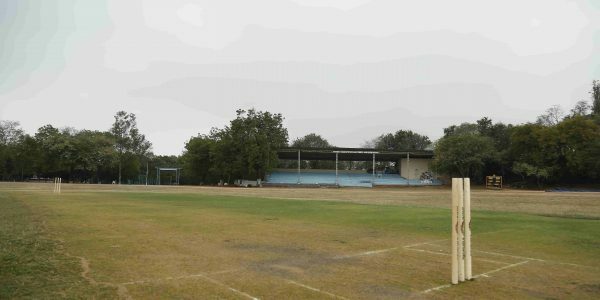 Students playing cricket are provided with the turfs and nets needed for practice as well as fields to play competitive matches. Provisions have been made for indoor games such as carrom and chess. 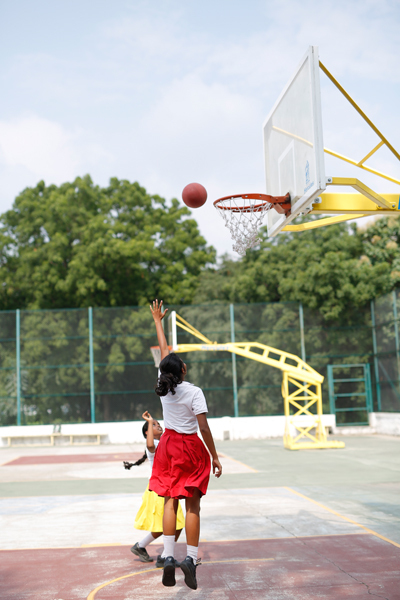 All the equipment used by students for the various sports is of the finest quality. The 10 M Indoor air conditioned Shooting Range of International Standard adds to the pride of the school. 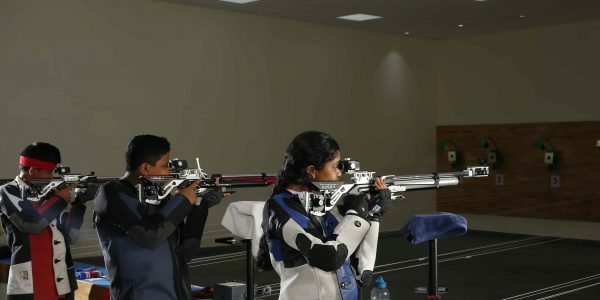 It is one of the best shooting ranges in the Twin Cities and has highly sophisticated 11 Firing Points and an electronic target for Air Rifle and Air Pistol. Students are coached by trainers of international repute. Another feather in the HPS cap is the Horse Riding Club. Students have the unique opportunity to ride horses and take part in Equestrian Sports on campus. 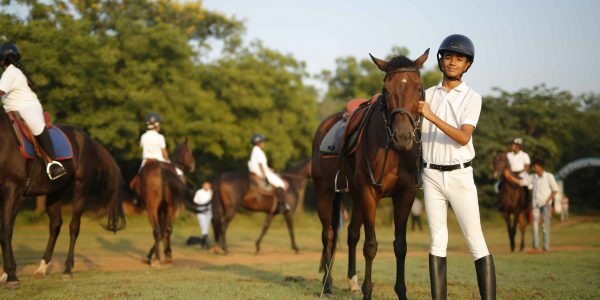 6 well trained Polo Riding horses are stationed in permanent, well maintained stables. Students who enrol themselves to this sport are trained by a highly qualified professional trainer. They are trained for trotting, dressage and cantering in a fine, second to none riding ring. Incidentally, when the school was established in 1923, it was home to some of the finest horses in the city. Our school loves its sports! We frolic on the football fields and diligently aim in the shooting gallery. We dunk the ball on the basketball court and ride the horses with ease and grace. 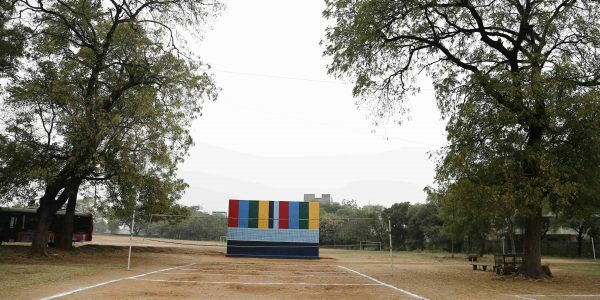 HPS Begumpet has always been on the forefront of sports and physical activities. Our students have made the schools and their families very proud by participating in and winning many tournaments over the decades. Eight bio-motor abilities are developed over the course of athletics training. 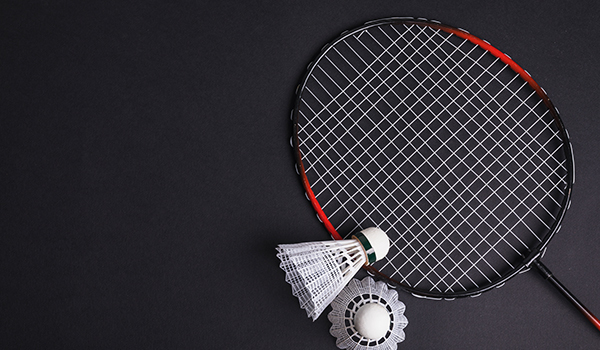 Badminton helps increase muscle tone. Badminton builds and tones the quads, glutes, calves and hamstrings. Core muscles, arm & back muscles get a thorough workout as well. Basketball, like any other sport, requires hard skill development through intentional focus and repetition of acts like shooting, ball handling and offensive skills. Cricket requires stellar hand-eye co-ordination and ball-handling skills. By developing endurance and stamina, a player can sprint between wickets and run to stop balls with minimal exhaustion. Daily horse chores play a role in developing a sense of responsibility, empathy and compassion – which are all important skills to have to build Emotional Intelligence and maintain inter-personal relationships. The horse also provides unconditional acceptance and emotional support for their young caretaker. Football allows the player to perform well under pressure, hence building composure; to accept defeat and build mental strength; deal with unnecessary aggression from the opponents and build will-power; and most importantly – to persevere. Hockey is a great exercise to develop muscles and bone strength, as well as co-ordination and balance. The movements needed for hockey develop gross motor skills, such as the ability to sprint down a pitch, as well as fine motor skills that come from intricate stick work. More than most sports, the logistics of Kabbadi help the player to build stamina and stretch their endurance. Kho-kho helps to build stamina, in motor development helping in social and mental development of the child. It also helps in better co-ordination and flexibility. 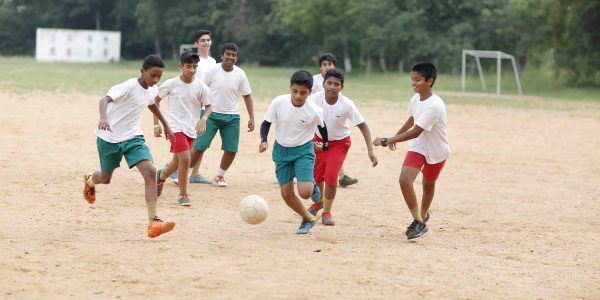 Kho-Kho facilitates motor development among children. Playing with classmates builds emotional attachment. Playing together at the same place at the same time with the same people inculcates social behaviour. While being a transformative and meditative experience, water adds resistence so swimming adds to strength training. It takes more muscle strength to move arms and legs through water. 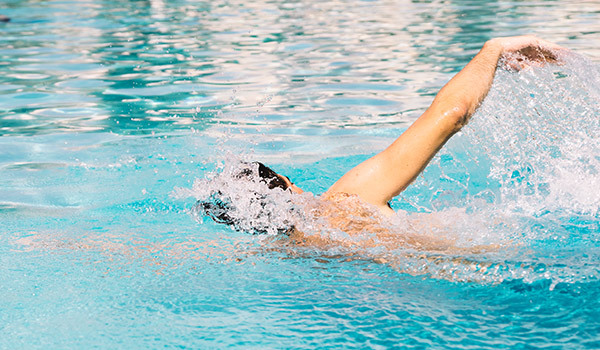 Swimming develops muscles and motor skills and helps improve co-ordination. Shooting builds physical and mental discipline. Increased strength, stamina, hand-eye coordination and fine motor skills come with the package. Arm strength, focus, better eyesight are great bonuses! Personal responsibility is taught through shooting sports, while promoting liberty, encouraging courage and confidence and spiking the child’s adrenaline. Active table tennis competition forms all these positive personal traits (internal locus of control, emotional intelligence, confidence, openness for experience). 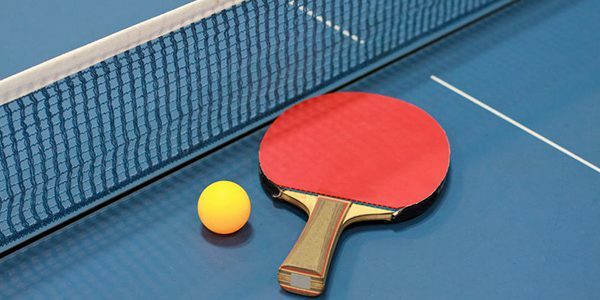 And they are, together with the mental and tactical skills developed in table tennis, good for developing managerial skills, that is, skills in planning, organizing, leading and leadership, and control. Tennicoitt is a tennis-style sport where teams separated by a team catch and return a heavy rubber ring. Playing Tennicoit helps in building physical and mental power. General athletic abilities, focus explosiveness, balance, great hand-eye co-ordination, ball judgment and motivation – all in a game of tennis. Volleyball is a fun and active sport that requires teamwork, strength, agility, communication, and depending on the level of the game – the skills of passing, setting, spiking and serving. 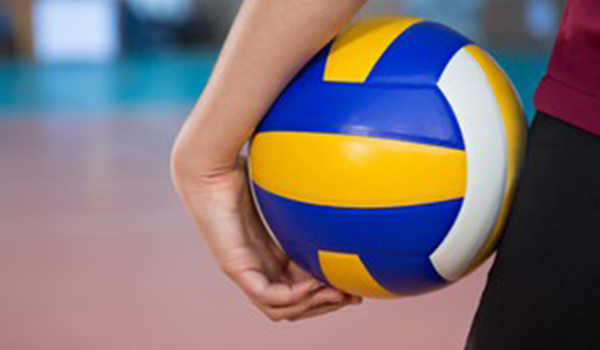 Playing volleyball demands power and endurance, and dependable muscular strength and flexibility. Rightly known as the ultimate full-body workout! 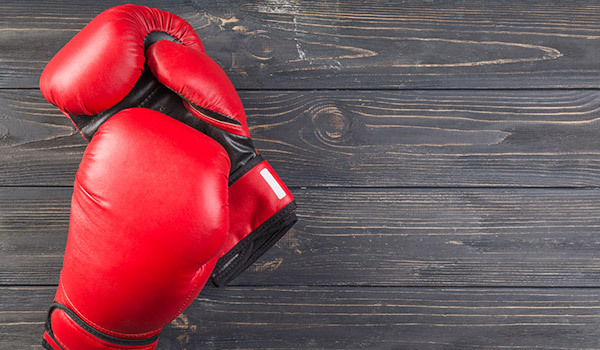 Correctly thrown punches use your legs, hips, glutes, core, obliques, back, shoulders, chest and arms. Punching against resistance causes all these muscles to contract with more force and speed, developing further your strength and power. Throwball tones and shapes the body. Throwball strengthens the upper body, arms and shoulders as well as the muscles of the lower body. Throwball also improves the cardiovascular and respiratory systems. Yoga gives children a better awareness of their bodies and movements. Relaxation, imagination & creativity, communication & confidence, persistence, teamwork, resilience – all of these are found on the mat.